Cultured marble house signs - what are they? We are happy to announce a new range of cultured marble signs and plaques. 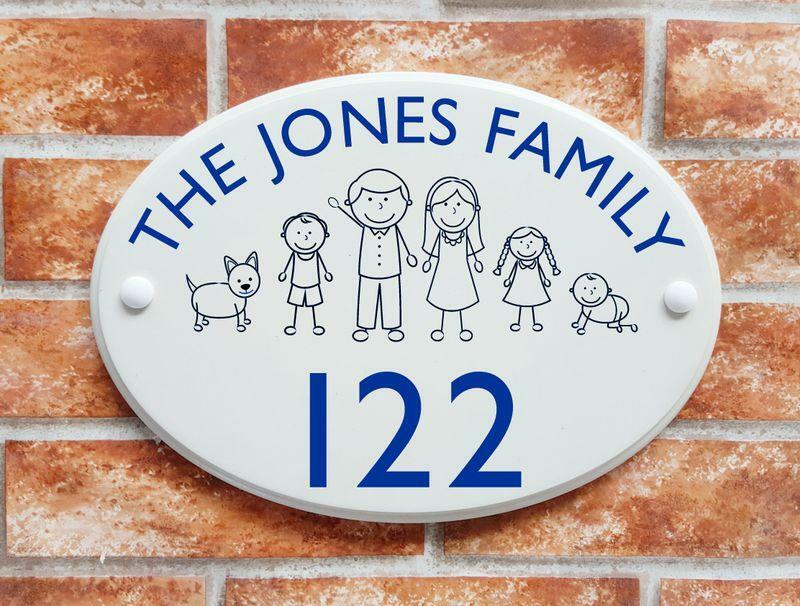 They are made entirely by us at our house sign studio in Sandown, Isle of Wight. What exactly is cultured marble? Many modern large solid Items for the home are made from Cultured Marble, mainly items that have contact with water such as shower trays, sinks, worktops etc. We can now make house name and number plates this way. Once the plaque is set hard in the mould it is removed and gets sanded, cleaned and finished ready for printing on our UV resin ink printer. What exactly is UV resin ink printing? Our new UV curing ink printer utilizes the latest digital printing technology that helps us produce stunning quality printed signs in full colour. The prints on these signs are water proof, scratch resistant and durable indoors and outdoors. The UV curing resin ink is printed (similar to normal ink jet ink) but it is cured instantly by a high powered UV lamp built into the print head mechanism directly on the base plaque. The UV ink cures instantly and is scratch proof. We can print onto any hard flat surface with this printer at high resolution, so it is ideal for printing reproductions of our artistic house signs, family name crests and cartoon style stick people to mention just a few up to A3 size. 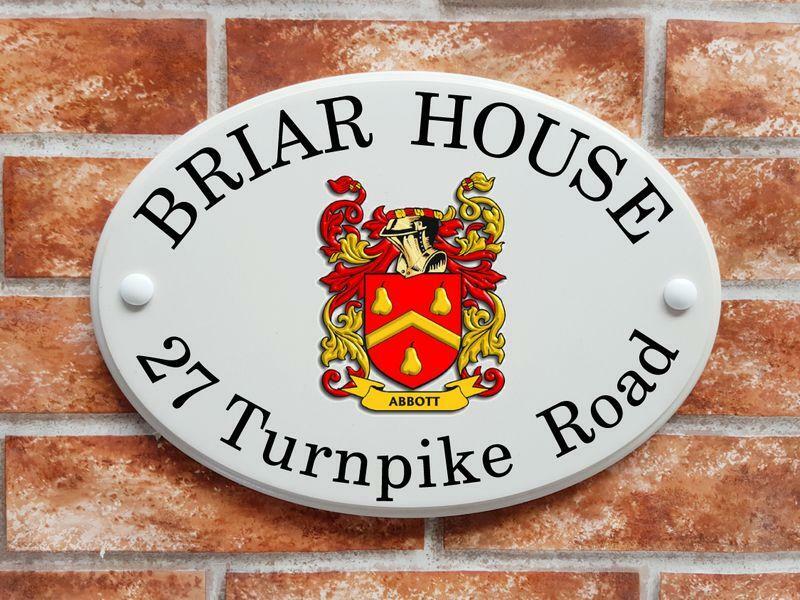 We feel this new range of house plaques is going to offer a lot of advantages to our customers. 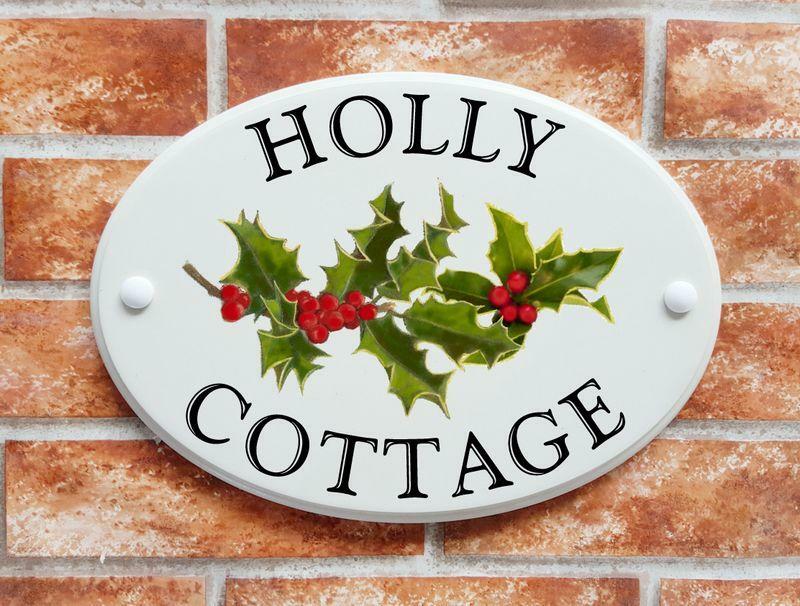 Faster turnaround times, quality prints that last indoors and outdoors and best of all an affordable price compared with our hand painted house signs. Hopefully this article gives you a clearer idea of what our cultured marble house signs are made from and encourage you to take a good look at this affordable range of personalised house name and number plates.